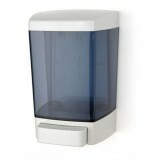 Please Browse Our Toilet Tissue Dispenser Product Line - All are MADE IN AMERICA! 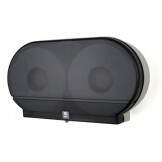 We have the most value-added toilet tissue dispensing equipment available. All of our toilet tissue dispensers are made in the America and are subject to strict quality control processes. Please browse our extensive collection of toilet tissue dispensers and dispensing equipment. 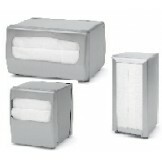 Please contact Kano Korn with any questions or opportunities regarding our toilet tissue dispensing products. Jumbo One 9" Toilet Tissue Dispenser | Twin Toilet Paper Dispenser | Palmer The Palmer Jumbo..
Mini-Twin Two Roll Toilet Tissue Dispenser | Twin Toilet Paper Dispenser | Palmer Fixtures T..
Jumbo Twin 9" Toilet Tissue Dispenser (3 3/8" Core) | Twin Toilet Paper Dispenser | Palmer The Pa..
Standard Four Roll Toilet Tissue Carousel (TURNADO) | 4 Roll Toilet Paper Dispenser | Palm..
Jumbo Twin 9" Stainless Steel Toilet Tissue Dispenser (3 3/8" Core) | Stainless Steel Toilet Paper D..